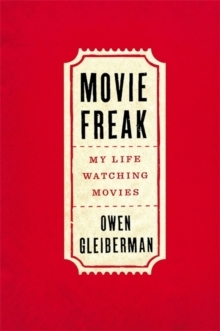 From a personal obsession with film, to an unorthodox mentorship with the legendary Pauline Kael, to establishing himself with the upstart Entertainment Weekly, Movie Freak is the critically-acclaimed memoir by veteran film critic Owen Gleiberman that will speak to anyone whose life has been changed by a great film. What molds a critic? Perhaps it takes parents willing to buy nine-year-old Gleiberman drive-in tickets for Rosemary's Baby. 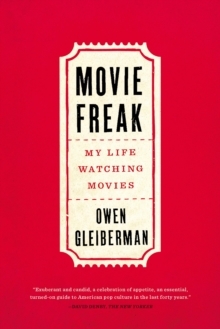 Like millions of us, Gleiberman loves movies, and in this frank and funny memoir he not only reveals the details of how he became a critic but attempts to show why we find cinema so defining as a society. As one of the premiere tastemakers for more than three decades, Gleiberman, a self-confessed movie freak, explains why he, and so many others, equate film with life. Readers will revel in the juicy details of the behind-the-scenes life of a critic, and cheer as he lifts the curtain on life along the red carpet.